The highly famous piece from Cloth Inc will give you a simple and clean cut. 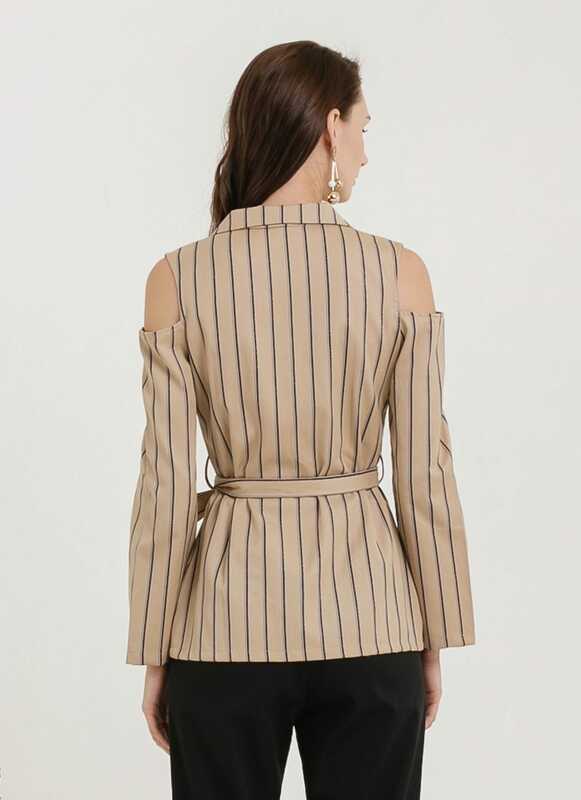 This Cold Shoulder Stripe Top is a long sleeves top with cut out shoulder, lapel collar, open front buttons and self-tied sash. 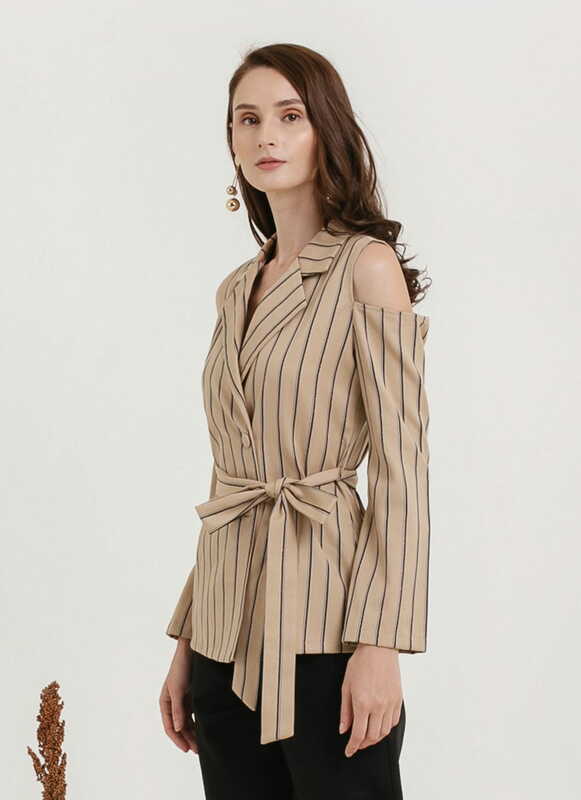 This piece is suitable for any casual occasions. Pair it with straight length pants and mules for the best look. Material: Made from 90% cotton 10% soft woven viscose.